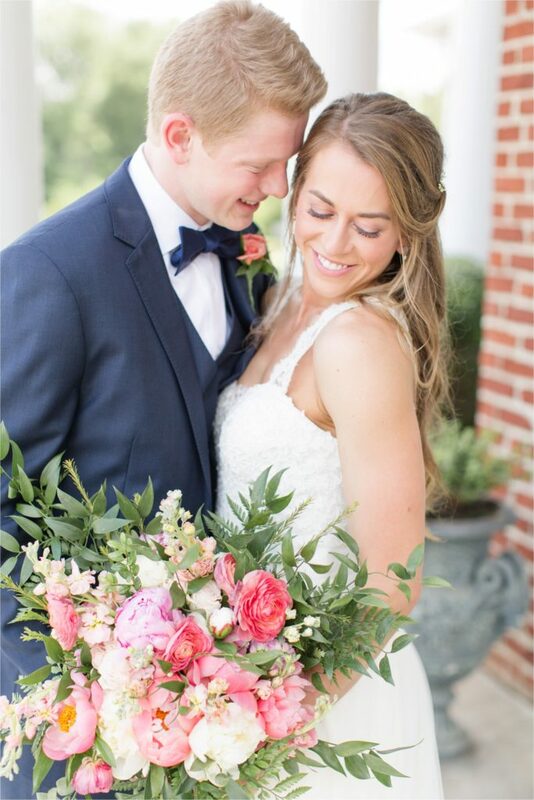 Chris and Katie are one of those couples you meet, and instantly want to be more alike! The way they have constant smiles on their faces, and just pure joy could light up any room! I remember sitting next to Chris in a class in college just remembering how genuinely kind he was to everyone. I got to meet Katie in person at their engagement session, and instantly saw what an incredible team these two make! Katie was just as joyful and kind, and has a contagious smile that makes you feel like friends instantly!! So their wedding day was nothing short of incredibly happy and joyful. While we were photographing details and the girls were getting ready, we just were SO excited hearing how happy and excited everyone was! Wedding mornings CAN be stressful, but Katie was so relaxed, laughing with her besties, and so excited today was the day she would become Mrs. Rawlings! 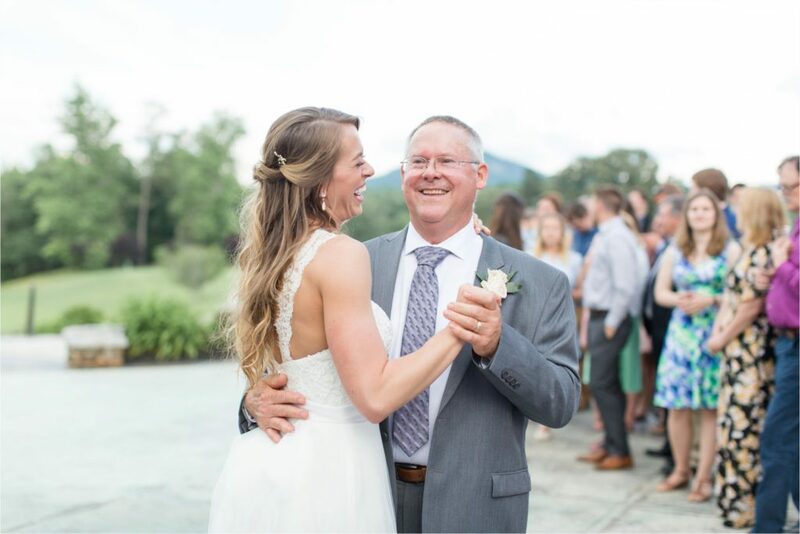 They had such a beautiful first look, a meaningful ceremony that included both of their families, and then swayed to their first dance on the back patio of Green Valley Country Club overlooking the mountains. Romantic to say the least!! They walked around the reception to be sure they greeted every single person who came to support them, smiling and laughing the whole time! Katie & Chris, I hope you’re having an incredible time in Barbados!! It was SO special being apart of the day you become “The Rawlings!” Love you both!! You seriously can’t go wrong with treating yourself to a custom The Mrs. Box! Oh Katie… you are flawless!!! The sweetest first look!!! Oh these two!!! The way they look at each other just makes me melt!! Katie had the SWEETEST girls by her side!! I knew a couple from college and one was in a wedding I photographed last year!! What a good looking group!!! Some just-married portraits before the reception!! I don’t think they stopped smiling the entire day!! FAVORITE!!! Oh how I love these two. Is this not the most gorgeous first dance backdrop??? It’s so clear Katie and her dad have such a special relationship! THEY asked to get a picture with me!!! Literally my heart exploded! I adore these two so much. Such a dreamy exit!!! If you loved Chris & Katie’s wedding, you may also love Christopher & Natalie’s downtown Greenville wedding!